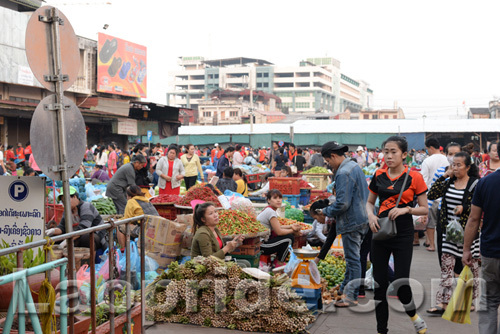 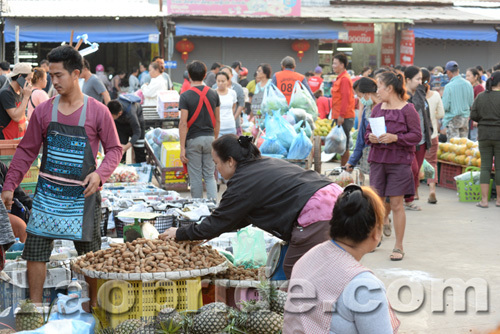 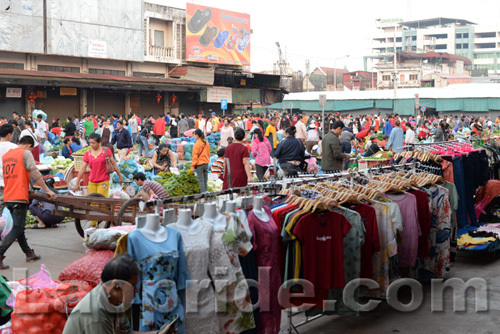 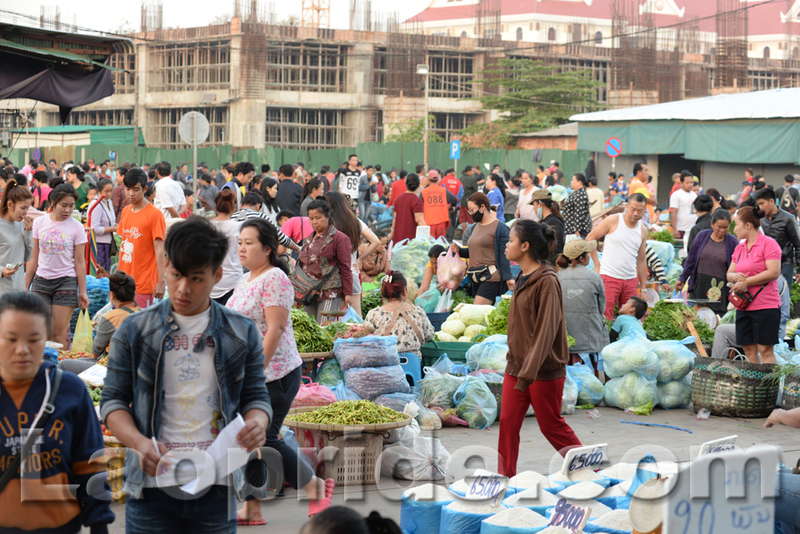 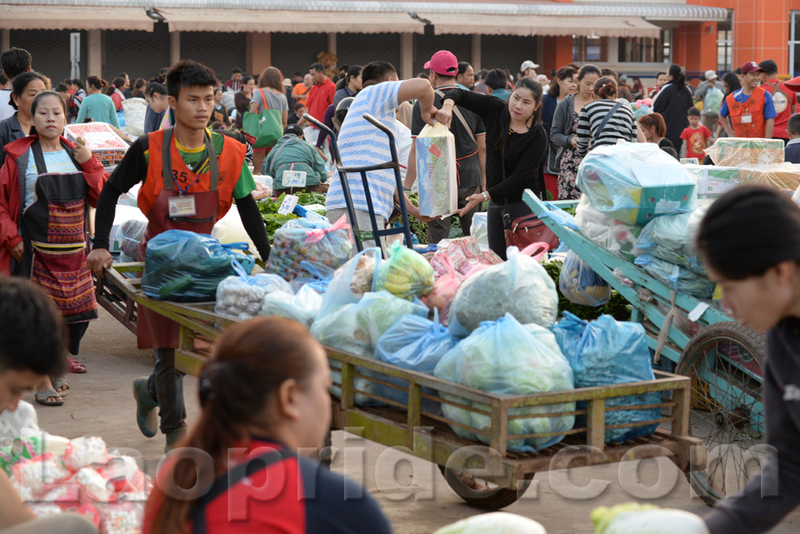 The "Khua Din Market" in Vientiane, the national capital of Laos. 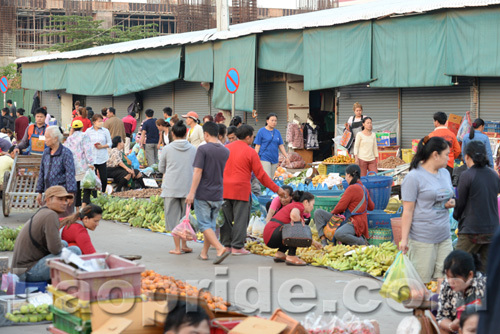 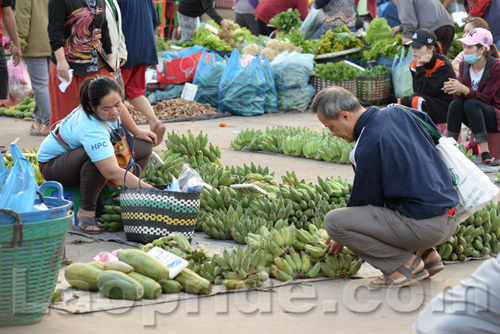 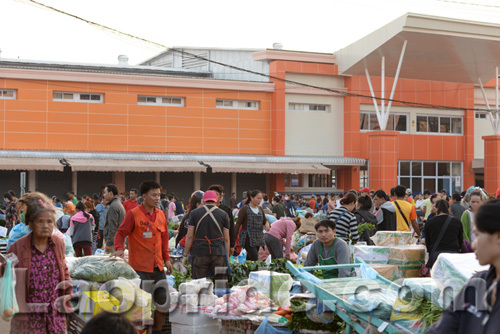 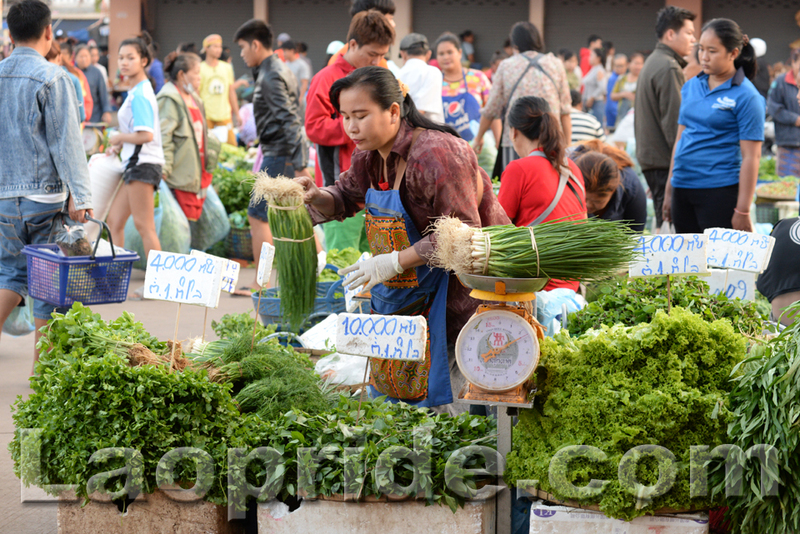 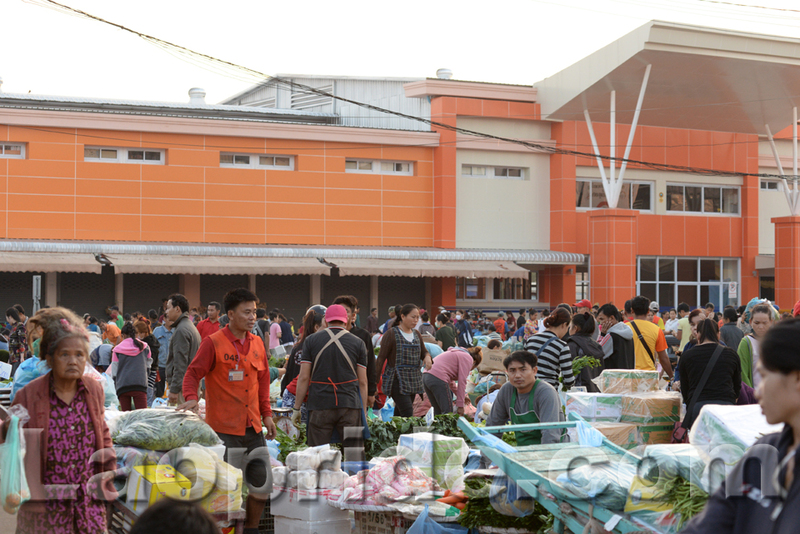 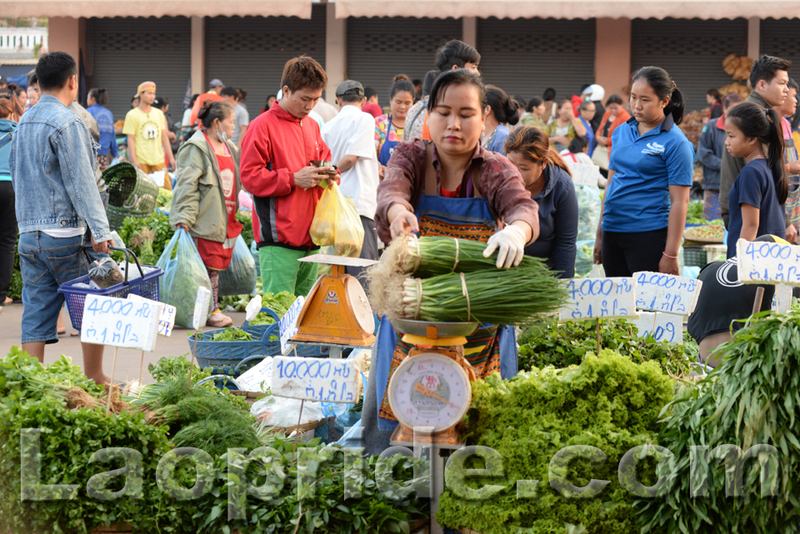 It's a huge market located within walking distance between the Morning Market and Vientiane Center, also two big shopping malls. Vientianians have a lot of money to spend. 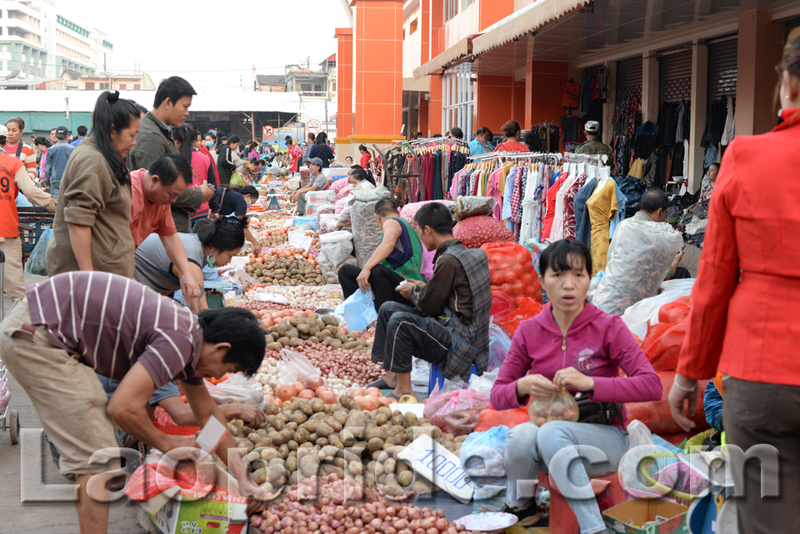 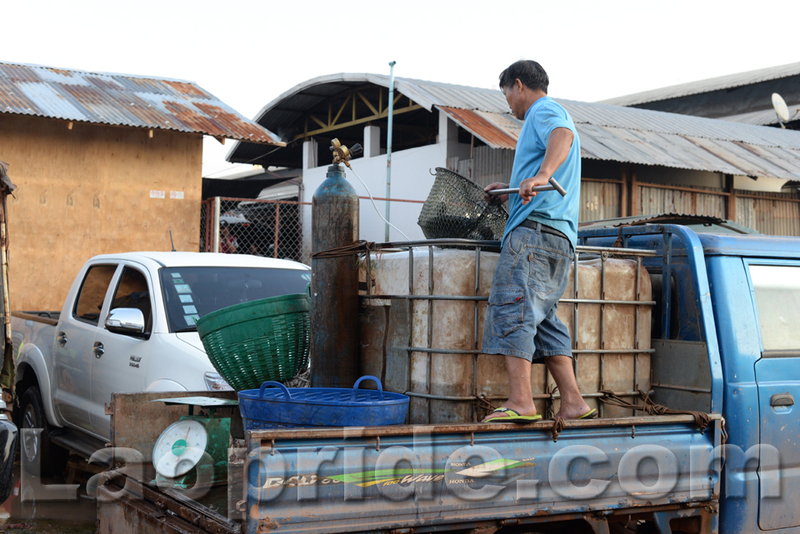 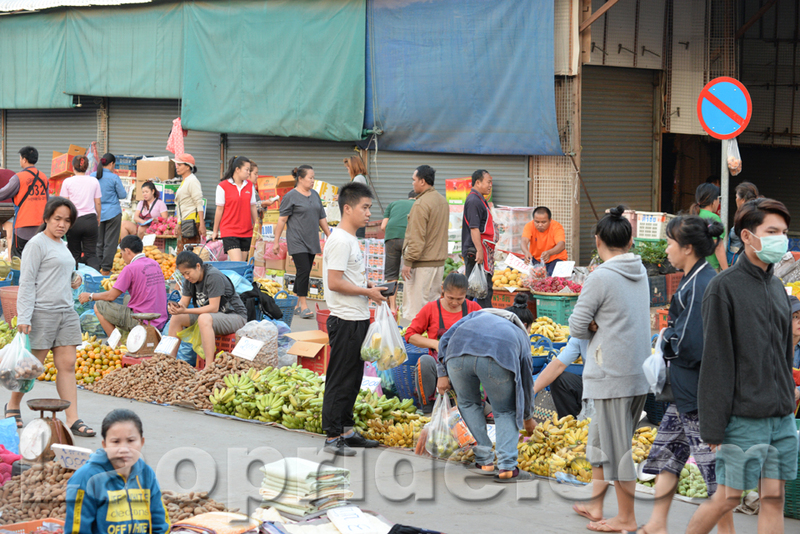 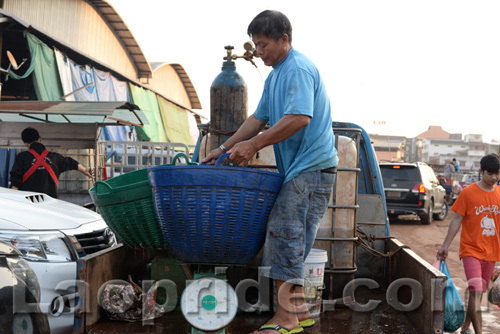 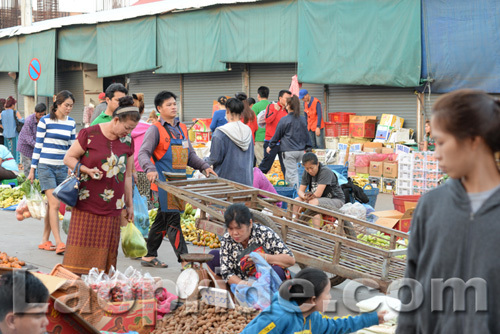 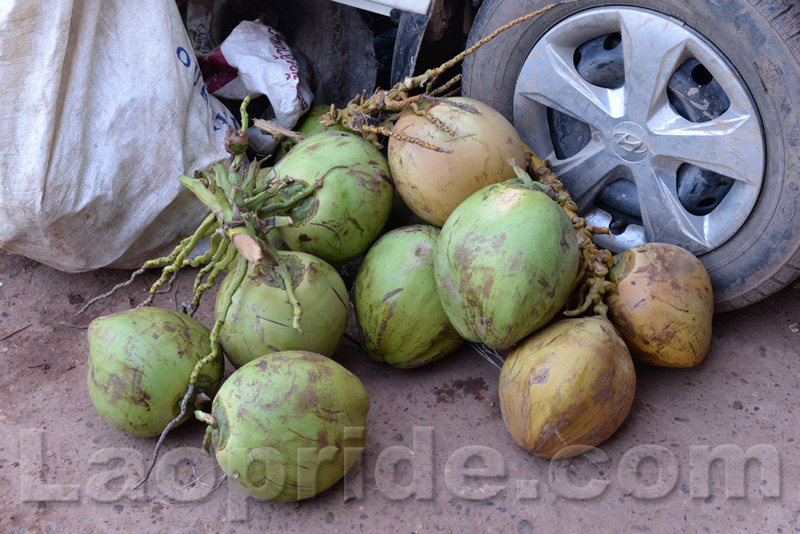 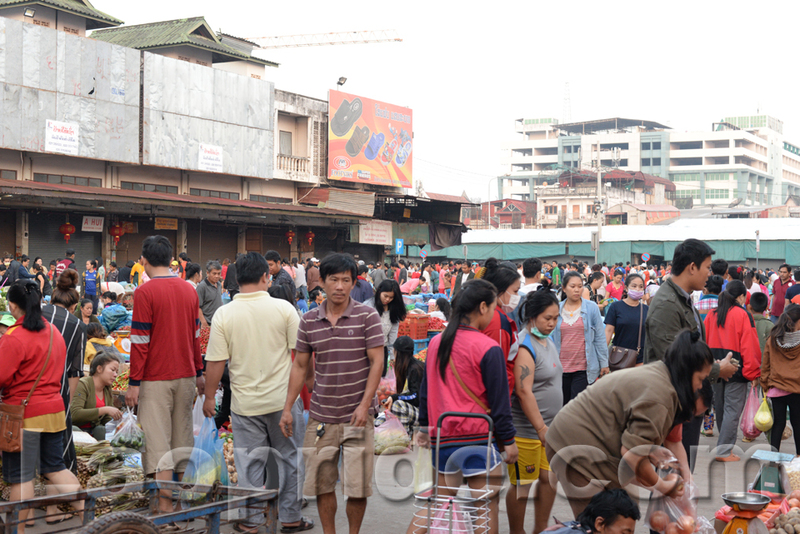 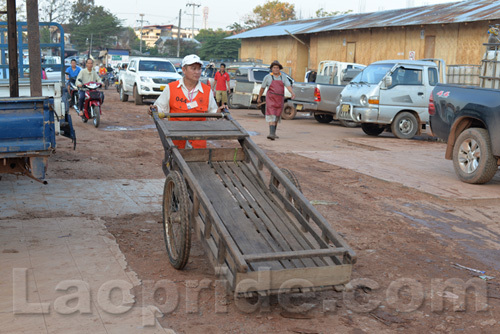 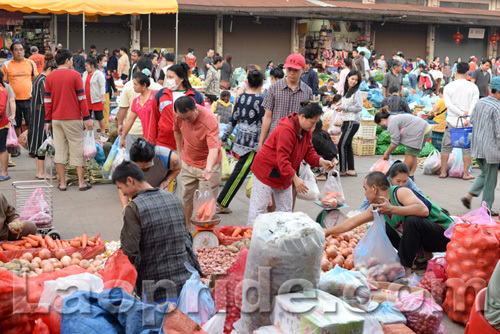 The Khua Din market has been transformed in recent years with more concrete pavings resulting in less mud and dust. 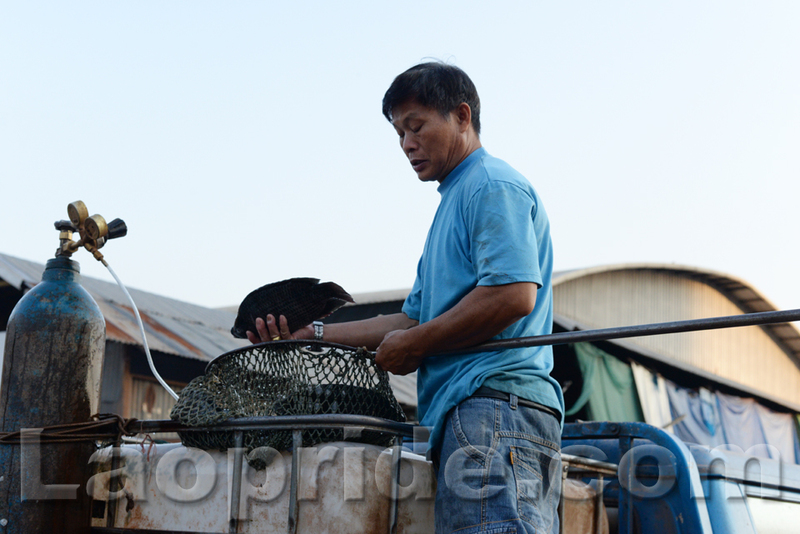 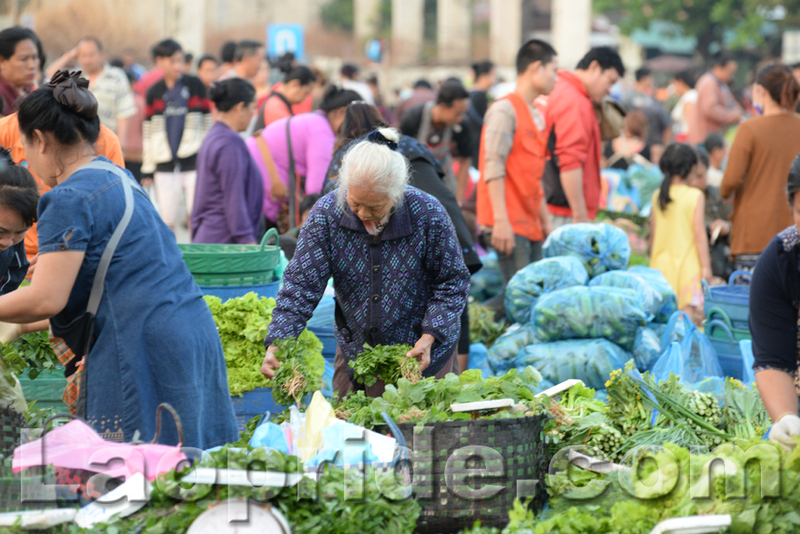 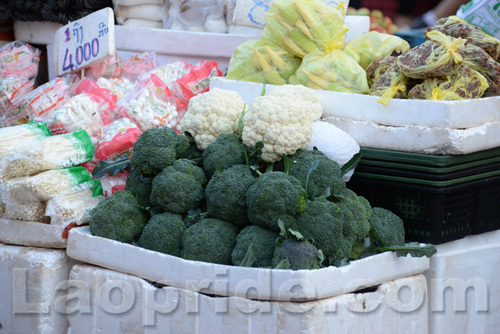 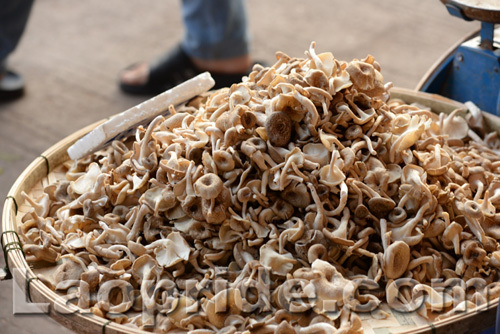 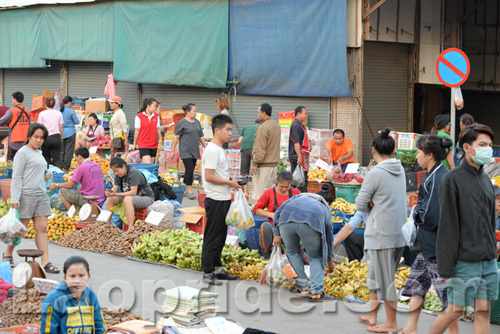 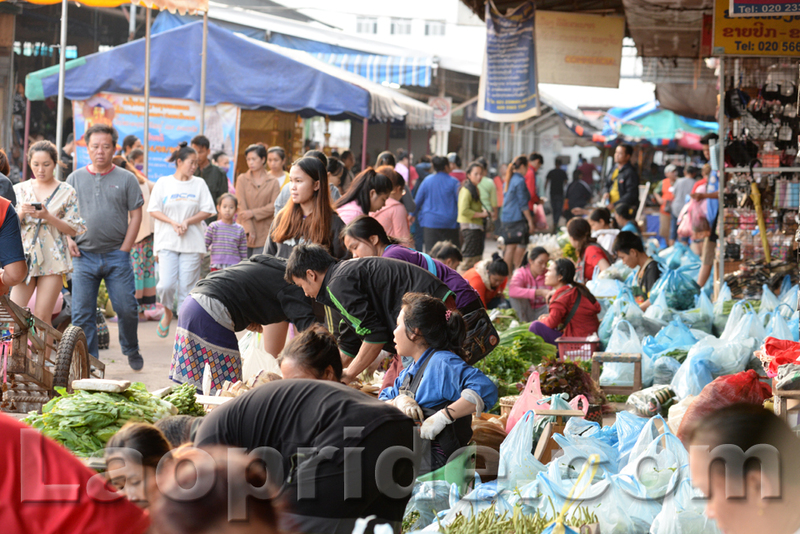 The market opens very early in the morning every day at around 6am and close at around 5pm. 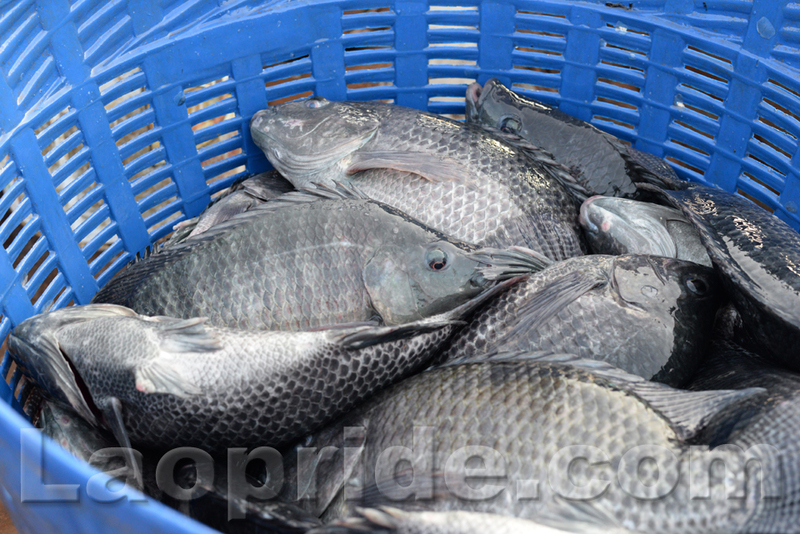 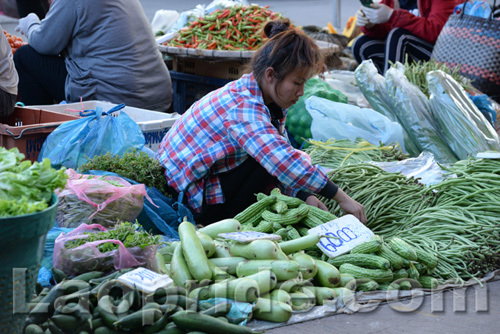 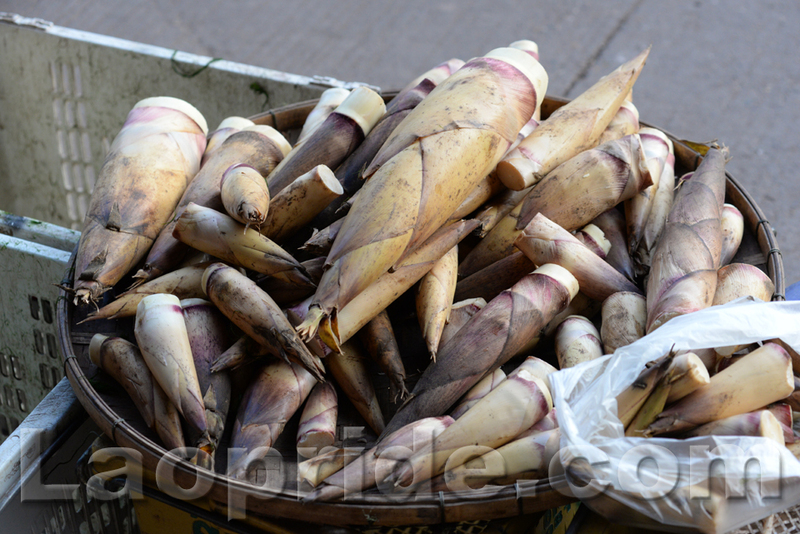 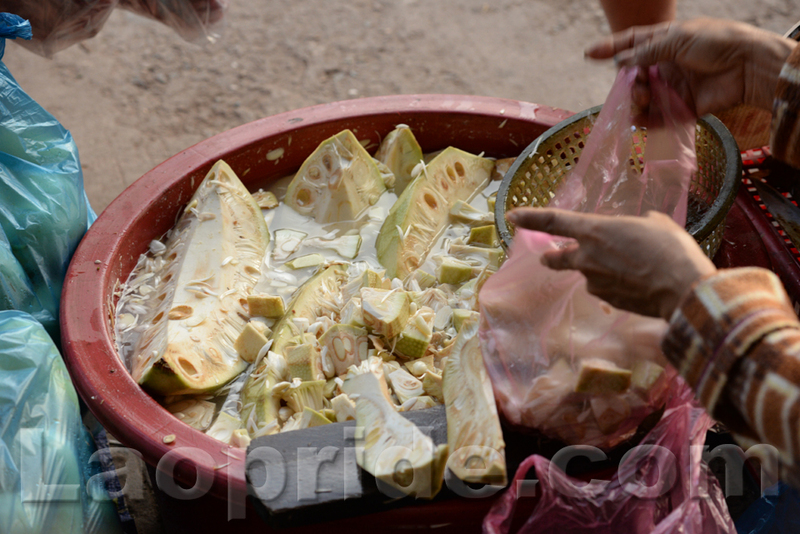 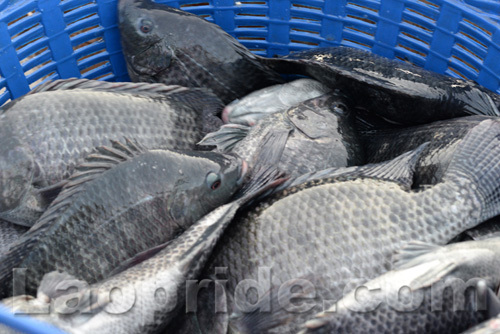 Below are some photos taken at the Khua Din market in February, 2018. We will have thousands of photos if we took the meat section, clothing section, cosmetic section and household goods section of the market. It's that big. 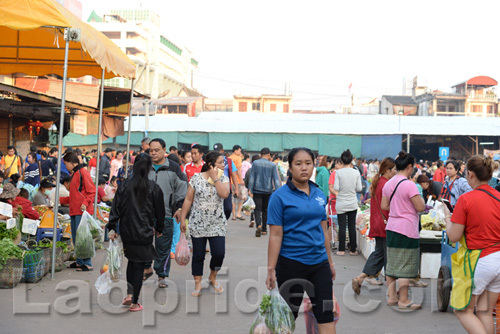 Do Lao people usually pay in cash? 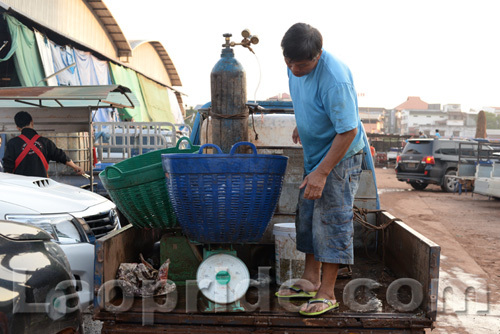 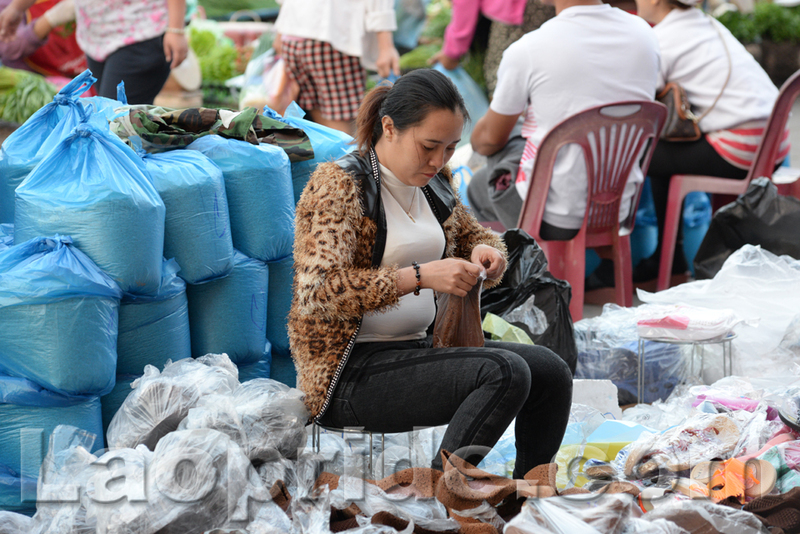 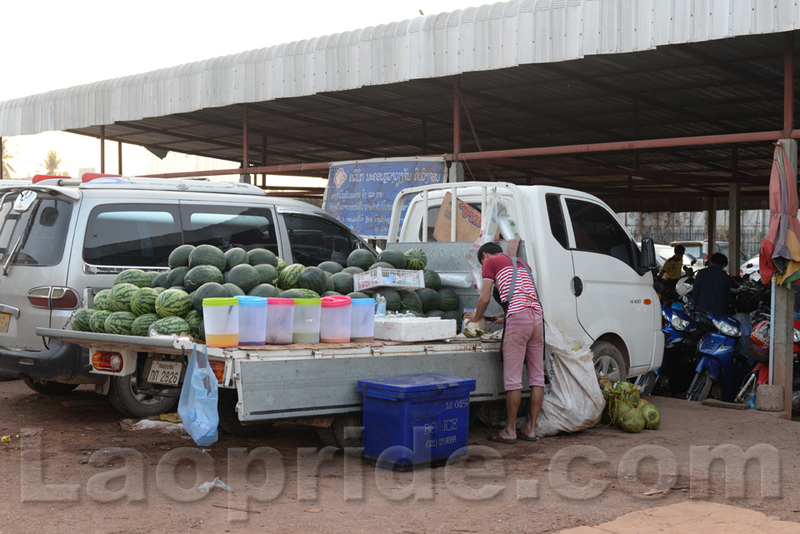 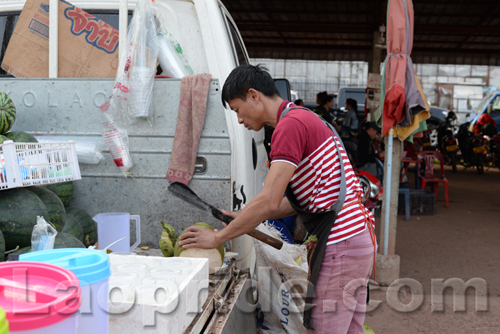 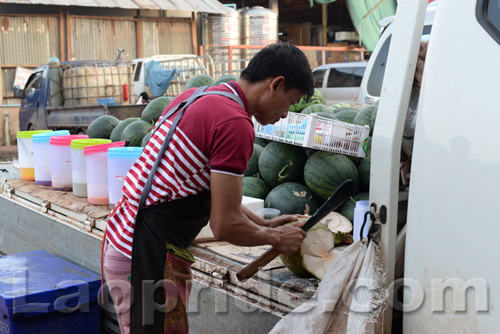 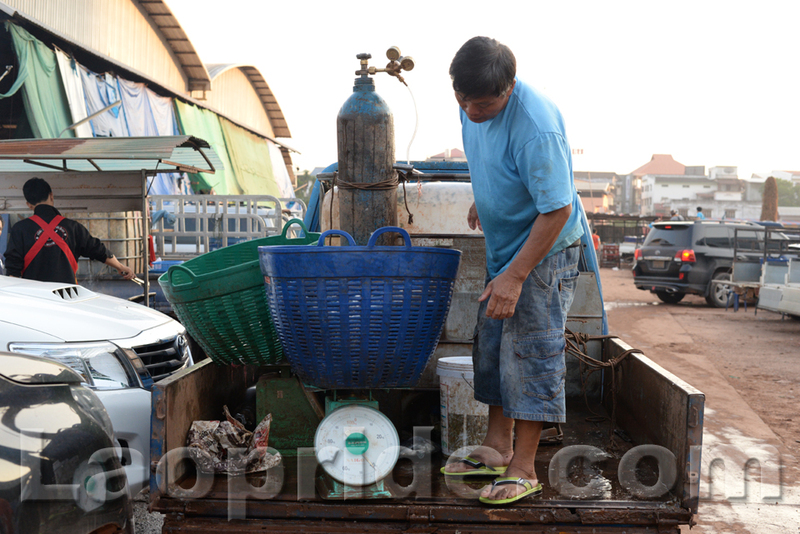 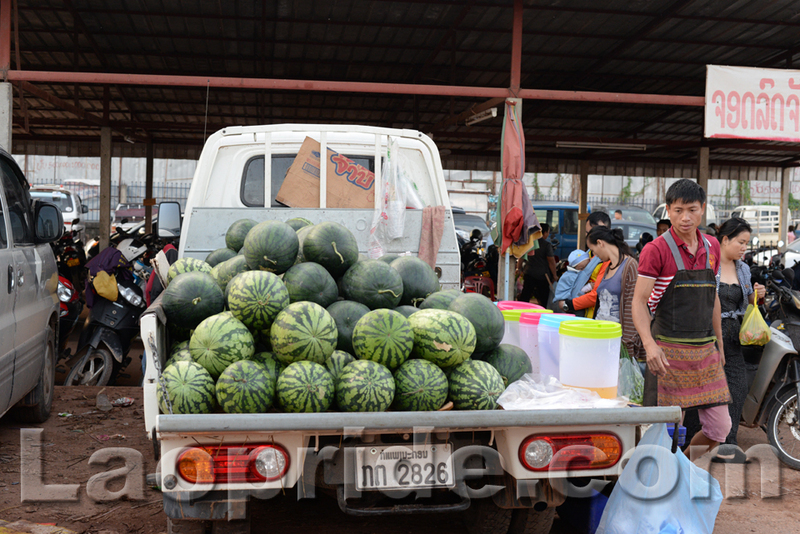 Does Laos have a VAT or sales tax? 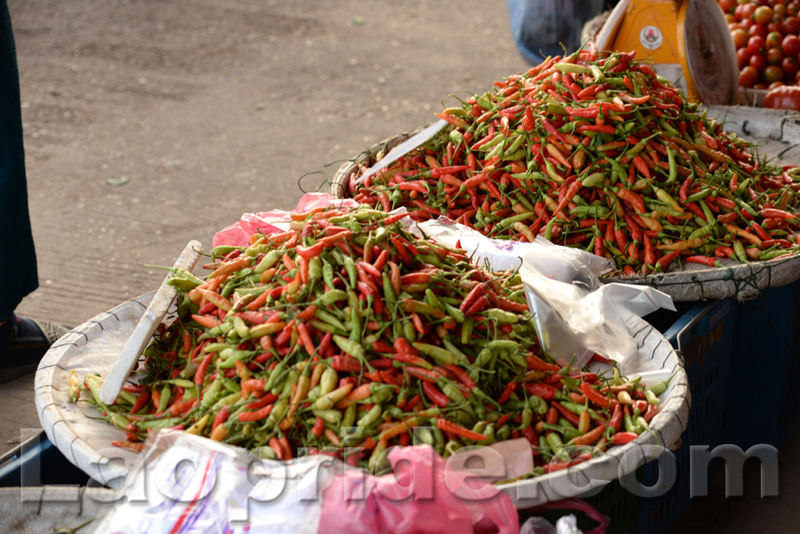 Markets like this only accept cash, but you don't necessarily need to pay in the local currency of Lao Kip. 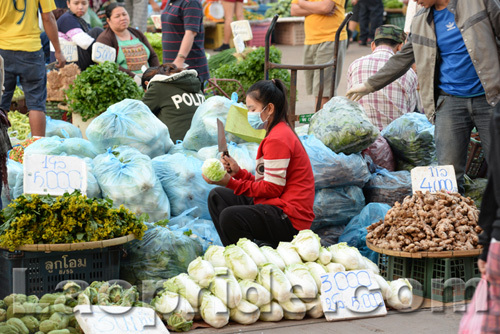 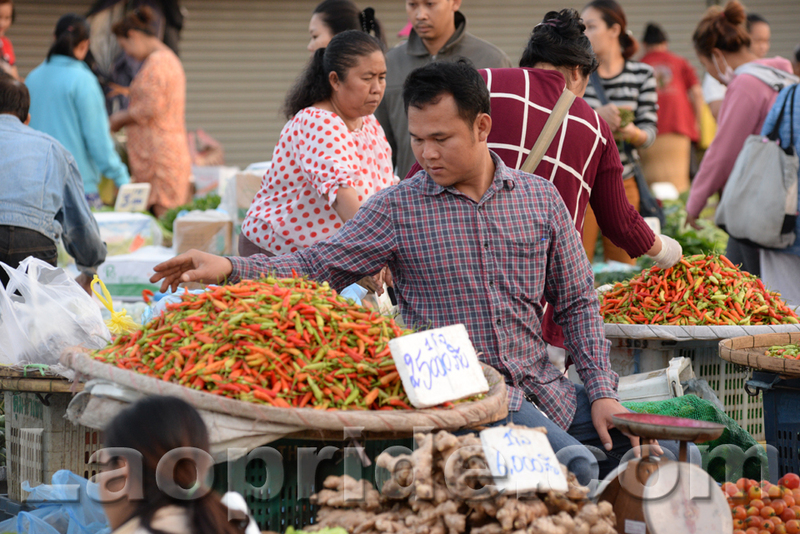 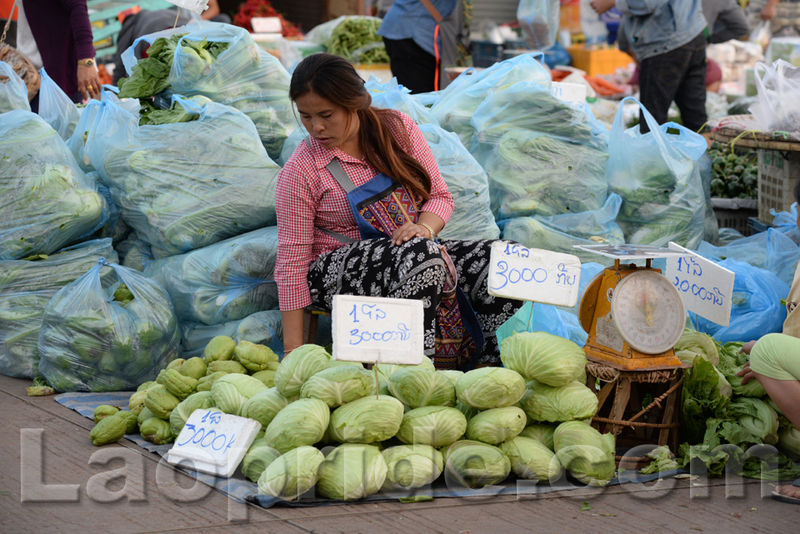 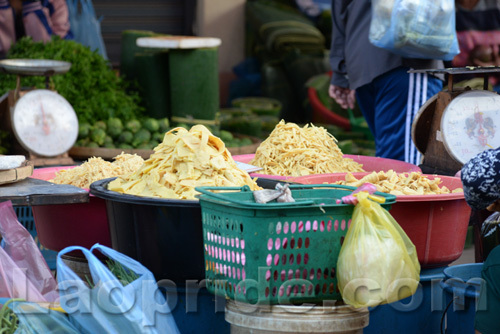 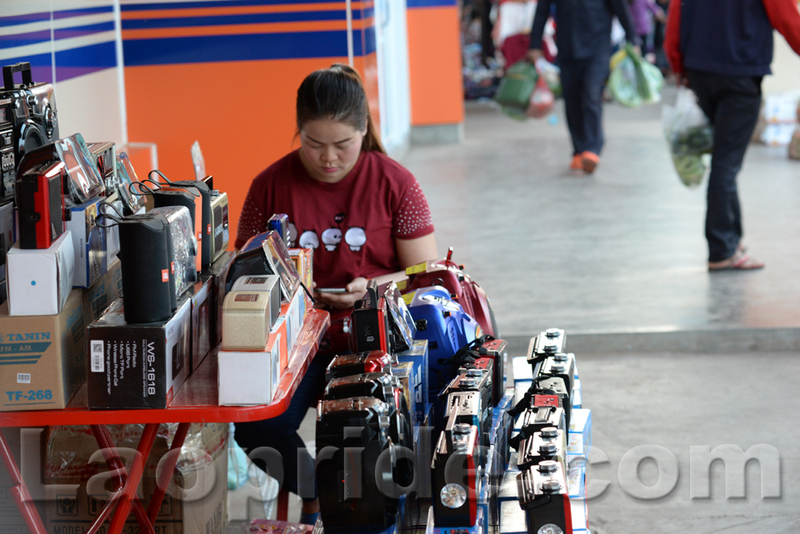 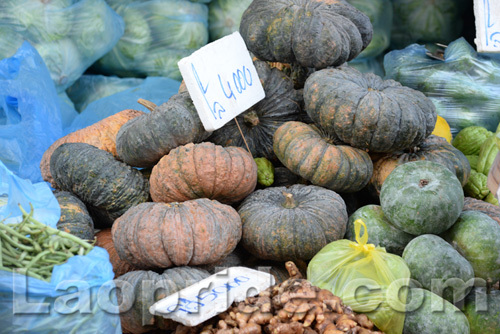 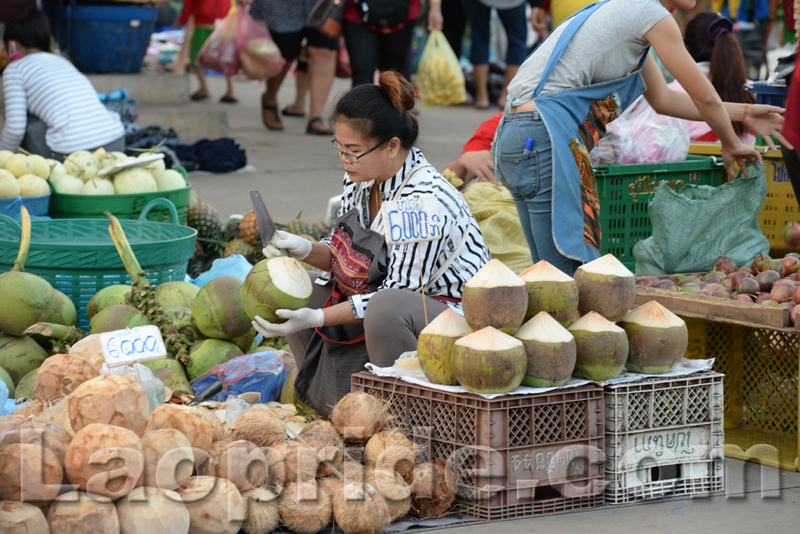 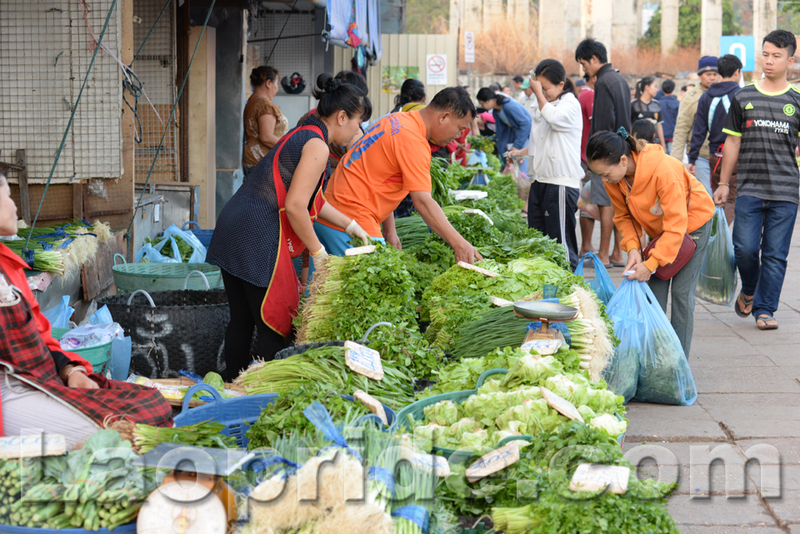 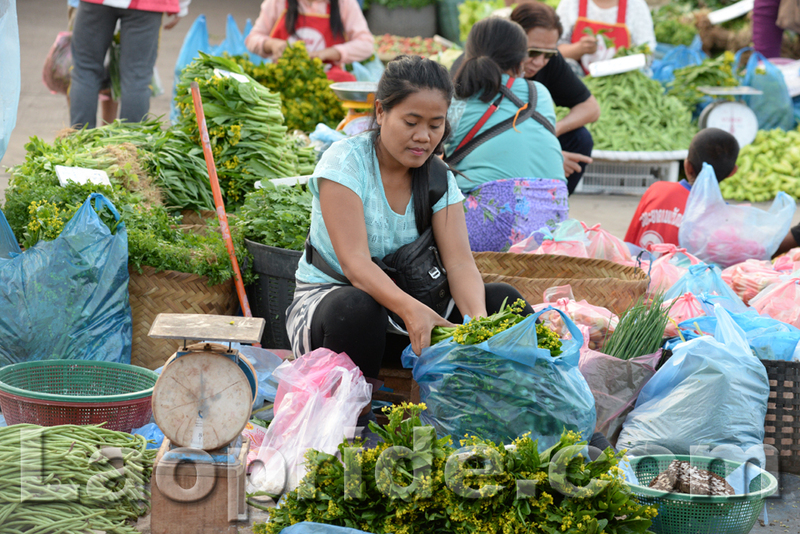 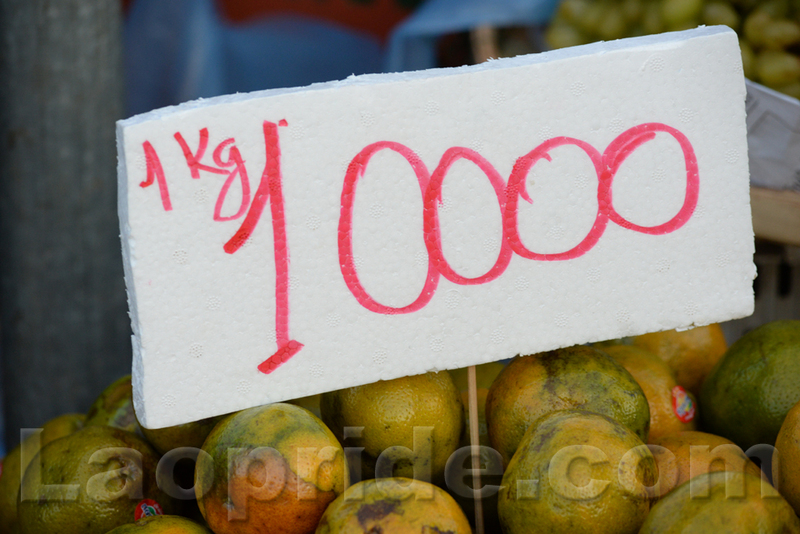 Market vendors also accept US dollars, Thai Baht and on some occasions other currencies if the vendors know what they are, and their current exchange rate. Credit Cards and Mastercard/Visa debit cards are accepted only at major hotels and restaurants in Laos. 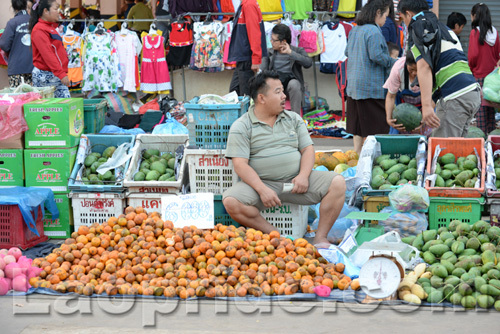 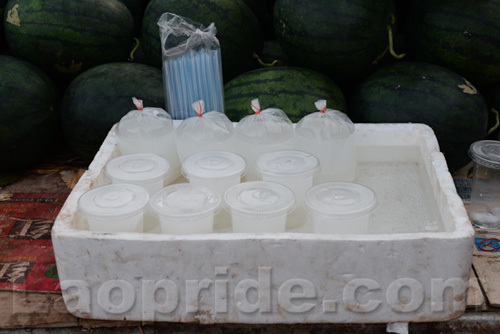 Market vendors need to pay for the space to sell their products which is their tax.